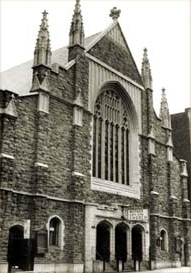 The church can be traced back to the John Street Methodist Church of New York City. 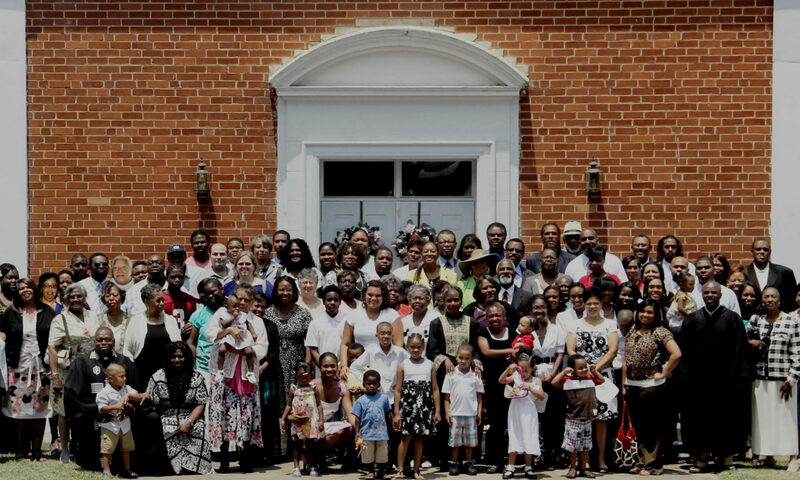 Following acts of overt discrimination (such as black parishioners being forced to leave worship), many black Christians left to form their own churches. The first church founded by the AME Zion Church was built in 1800 and was named Zion. These early churches were still part of the Methodist Episcopal Church, although the congregations remained separate. The fledgling church grew and soon multiple churches were formed based on the original congregation. These churches were attended by black congregants, but ministered to by white Methodist ministers. In 1820, six of the churches met to ordain James Varick as an elder and in 1821 was made the first General Superintendent of the AME Zion Church. A debate raged in the white-dominated Methodist church over the possibility of black ministers. This debate concluded on July 30, 1822 when James Varick was ordained the first bishop of the AME Zion church. The newly formed AME Zion Church had a separate meeting place and time apart from the Methodist Episcopal Church. Autonomy was key for the newly formed church. A general conference is the supreme administrative body of the church (s. 1988). Between meetings of the conference, the church is administered by the Board of Bishops. The denomination operates Livingstone College in Salisbury, NC, and two junior colleges. The religious studies department of Livingstone College came to be known as the Hood Seminaryin 1906. Hood remained a department of the College until 2001. On July 1, 2001, the Seminary began operating independently of the College, and in March 2002 the Southern Association of Colleges and Schools (SACS), the College’s accrediting agency, acknowledged that the Seminary was a separate institution, sponsored by the A.M.E. Zion Church independent of the College. Its missionaries are active in North and South America, Africa, and the Caribbean region (s. 1988). In 1998, the AME Zion Church commissioned the Reverend Dwight B. and BeLinda P. Cannon as the first family to South Africa, in recent memory. These modern-day missionaries served from 1997 through 2004. Dr. Cannon is now Administrative Assistant to Bishop Richard K. Thompson, who oversees the work of South Africa, Zimbabwe and Swaziland. The AME Zion Church has other mission work in the Countries of Nigeria, Liberia, Malawi, Mozambique, Angola, Ivory Coast, Ghana, England, India, Jamaica, St. Crois-Virgin Islands, Trinidad, Tobago, etc. The church grew rapidly with the ordination of black ministers but was mostly confined to the northern United States until the conclusion of the American Civil War. Today, the AME Zion church has roughly 1.2 million members with outreach activities in many areas around the world. The AME Zion church has been in negotiations for many years to merge with the Christian Methodist Episcopal Church into a tentatively-named Christian Methodist Episcopal Zion Church. The plan was originally for them to unite by 2004, but this has been delayed by the AMEZ church, which insists on having “African” in the name. It is very similar in doctrine and practice to that church and the African Methodist Episcopal Church.